WASHINGTON—Insisting that the dogs be filmed not only more frequently but also in the most adorable manner possible, the American populace on Friday demanded more slow-motion footage of running basset hounds. 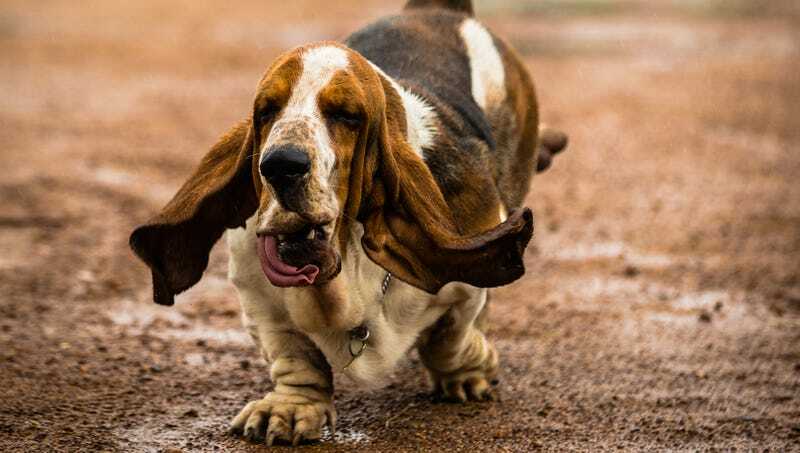 “We’re calling for a dramatic increase in the number of slo-mo videos featuring droopy basset hounds racing toward the camera,” said Montana resident Peter Tomsett, echoing the sentiment of all 323 million Americans who declared it was urgent that they see curtains of skin flapping, ears waving back and forth, and drool slopping everywhere as the dogs bound through a field at a fraction of their real-life speed. “I’ve definitely seen a slowed-down video of a couple of basset hounds running with their tongues lolling out the sides of their mouths while the Chariots of Fire theme played in the background, but there needs to be so many more videos like this, and they need to be made soon. It doesn’t matter if they’re puppies or old dogs or a mix of the two. What matters is that production of the slow-motion basset hound footage commences immediately and continues indefinitely.” At press time, the entire nation was just as insistent on needing additional slow-motion shots of wet bassets hounds shaking water off their bodies.